Lux Capital invests in Arraiy, a computer vision and machine learning platform for special effects. Excluding myself in the black shirt; the Arraiy founding team. From the left, Gary Bradski, Ethan Rublee, and Brendan Dowdle. Hollywood Blockbusters heavily rely on special effects. From landing spaceships and exploding cars, to giant beasts and dainty fairies, some of the most memorable, magical on-screen moments require thousands of hours in editing to come to life. Not for long. A new startup called Arraiy is jumping into the fray. Today Arraiy, a computer vision and machine learning platform for the motion picture and television industry, is announcing a $10 million Series A round of funding led by my firm, Lux Capital, and Softbank Ventures. Dentsu Ventures, Cherry Tree Investments, IDG Capital and CRCM Ventures also participated. I will be joining Arraiy’s board of directors on behalf of Lux. Arraiy’s vision is to bring powerful post-production tools, which today is only accessible to the biggest studios with the biggest budgets, to a broader population of artists; empowering all who wish to share their stories. The number of memorable moments are on the rise: Stalwart movie houses such as Sony and Disney, and cable creators such as HBO and Showtime, are facing an enormous wave of competition from tech-centric newcomers such as Apple, Amazon, Netflix, and Hulu. As connectivity becomes abundant, carriers are creating binge-worthy content of their own. The problem? To keep the attention of demanding consumers, these producers must consistently deliver “larger than life” moments. Doing so is expensive and time-consuming. It is currently only possible to create most mind-blowing special effects in post-production. That means creators must use a heavy dose of guesswork when they create and shoot scenes, often leading to frustrating and expensive retakes. Arraiy is a classic Lux investment: an interdisciplinary team — in this case, filmmakers, scientists, roboticists and engineers — reinvent an industry using futuristic tools such as AI, ML, and computer vision. Over the past year, the team has made tremendous progress. They have built software tools for use during, and after production. Their tools are giving filmmakers a glimpse into the final take as they are doing their shoots, thereby taking out the guesswork. Its post production tools will cover most of the visual effects commonplace in today’s workflows. Arraiy’s tracking product was showcased by production studio TheMill at the 2017 International Game Developer Conference, enabling vehicles to be automatically tracked, and replaced with virtual vehicles, seamlessly in real time. Over five years ago, I was introduced to Gary Bradski and Ethan Rublee by Willow Garage chief Steve Cousins, as a pioneer in robotics and “visionary” in computer vision, as the inventor of OpenCV. Gary and Ethan later co-founded startup Industrial Perception, automating warehouse logistics. As we were moving towards making an investment, they were purchased by Google. However, Gary’s passion to work at a startup led him to move to Magic Leap to build up its computer vision team in Silicon Valley. 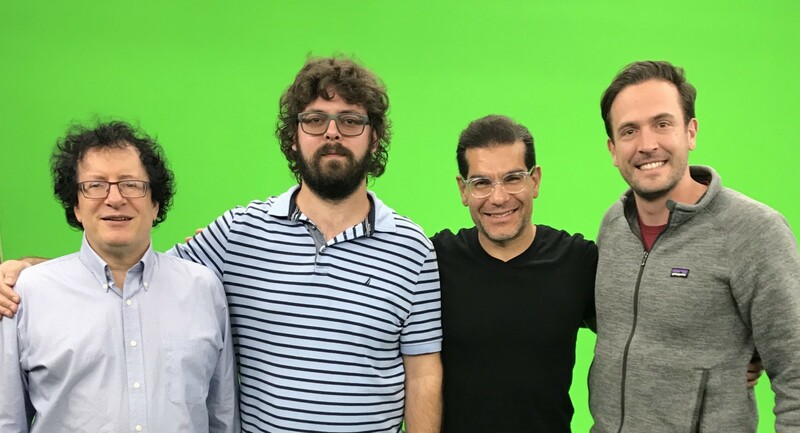 Gary and I would meet regularly to brainstorm on startup ideas, and when he mentioned that he is partnering up with Ethan and Brendan, we were eager to seed the company. We are excited to partner with Arraiy on their mission to enhance the expressive power of artists, directors and other content creators with machine learning. Arraiy was founded by a group of computer vision experts with a passion for film. Their aim is to leverage AI to accelerate the laborious and expensive steps in content production. We are excited about their strategy beginning with empowering professional content producers to visualize final content as its being shot, and accelerate the lengthy process of post production. Artist Will.i.am built this powerful video by using Arraiy’s VFX products. The Arraiy team is on a mission to streamline the otherwise expensive and arduous processes that put a drag on producing magical content. We expect a future where every artist can product content that today is only within reach of those what have budgets in the hundreds of millions. We expect Arraiy’s technology to shephard magical content not only in 2D screens, but also into augmented and virtual reality, and other platforms to come. Empowering entrepreneurs @lux_capital - funding frontier tech companies. Gearhead, Trekkie, workoutaholic.